Who hasn’t wished at some point that their life could have its very own soundtrack? 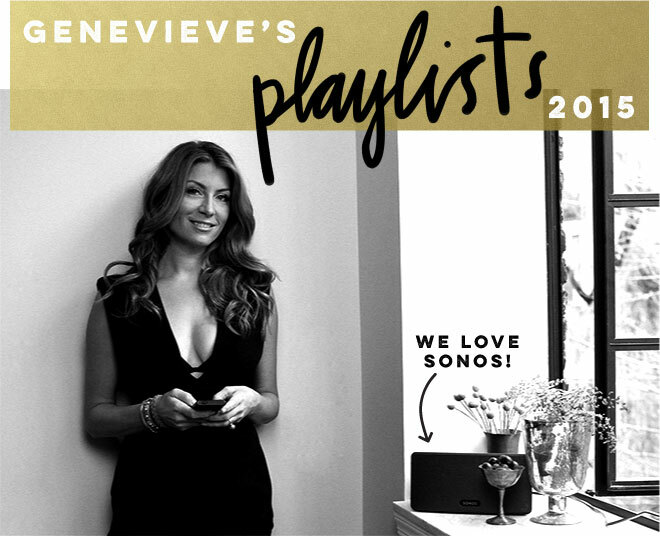 Now it can with Gen’s playlists for your every day and your every mood in 2015 (click the titles to listen on Spotify). In the morning, while you workout, getting ready to go out… we all need some umph. Here’s mine for you. We all need this, all the time. Classics, foreign, sultry, lovely. Designers go internal when they create, silently pulling on the visual, drawing, dreaming. Our sonic backdrop needs to be encouraging, not too invigorating, but transportive and inspiring.